WASHINGTON — 2 drone strikes killed 7 suspected al-Qaeda militants in the volatile southern regions of Yemen, Reuters reports. 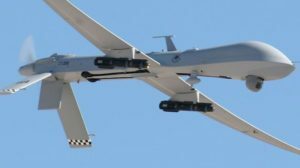 This continues the drone strike war by the U.S. government, even after President Barack Obama said that drones are used only if there were “continuing and imminent” threats. The Obama administration considers Yemen’s al-Qaeda affiliate, al-Qaeda in the Arabian Peninsula, one of the most active and dangerous of the terrorist network. They continue to order drone strikes on suspected militants to help the beleaguered Yemeni government while the liberal media stays silent on it, after criticizing the Bush administration for drone use. Yemen is an important region because it sits along major oil shipping lanes, and its longtime president had stepped down during the Arab Spring protests in 2011. Yemeni army and affiliated tribal militia have taken back some parts of the country, but the country still is in turmoil.